Until recently, Microsoft Teams used a very simple licensing model. You licensed all tenant users with one slider, and all guests with another. Well, things change and now Teams uses a per-user license that depends on the Teams sub-feature license in the Office 365 plan (like E3 or E5) assigned to user accounts. Most people will want to use Teams, so you don’t have to do anything as the license is automatically turned on. However, if you want to ban Teams for a set of users, you’ll rapidly find that removing licenses one at a time for more than a few accounts through the Office 365 Admin Center is a tiresome and boring operation. PowerShell can help ease the pain, and here’s a script to do the job. And the best thing of all is that the same script can handle other sub-features like To-Do, Flow, and Stream. The script is written using the Microsoft Online Services PowerShell module. 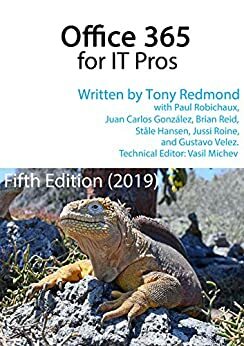 Office 365 for IT Pros subscribers: We have another version of the script, this time written using the Azure Active Directory (V2) module, in Chapter 3 of the August 28 update. There are lots of other updates coming on August 28 too. We hope that you’ll like them! Chapter 3 also includes other examples for how to manage Office 365 licenses with PowerShell, so there’s lots to read.